Eligibility This is an MCSA sanctioned event. 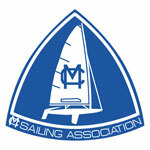 It is open to skippers of MC scows who are younger than 25 years of age on or before the first scheduled race. All yachts must comply with the MC class scantlings prior to the preparatory signal of the first scheduled race. A boat may sail with a different sail number from its hull number if it registers with that sail number, and must compete with that number for the entire event. Non-mcsa members are invited to race. A complimentary MCSA membership will be granted to all who compete in this event. Made possible by the sustaining members of MCSA. Email Treasurer@mcscow.org with membership details. The organizing authority (OA) for this regatta is the MC Sailing Association (MCSA) in cooperation with the Cedar Lake Yacht Club ( CLYC). The racing area will be the waters of Cedar Lake. The sailing instructions will consist of the instructions in RRS Appendix S, Standard Sailing Instructions, and supplementary sailing instructions that will be published and be posted on the official notice board located at the club. VHF Radio will be used by the RC to communicate with competitors on the water. Additional instructions regarding radio communication will be included in the SI’s. Competitors give absolute right and permission for video footage or photographs of themselves or their boat generated during an MCSA event to be published in any media for press, editorial or advertising purposes. Safety Suggestion: MCSA encourages but does not require the use of masthead floats when conditions warrant their use. NOTE: All times shown are preliminary. Check official Notice Board for updates. 1000 Warning signal for Race #1. Other races to follow as time/conditions permit. 0930 Warning signal for first race of the day. Other races to follow as time/conditions permit. No Warning Signal will be made after 1200. Pay at the event . Registration fee is $30 and includes skipper's breakfast, lunches and snacks if electronic registration is received by Aug 19th. After Aug 19th registration is $50. The Low Point System of RRS Appendix A will apply. When fewer than 5 races are completed, a boat’s series score will be the total of her race scores. When 5 or more races are completed, a boat’s score will be the total of her scores excluding her worst score. This changes RRS A2.1. One race constitutes a regatta for purposes of awarding perpetual & keeper trophies. Awards will be based on her finishes in the overall fleet. Keeper trophies - Top 5 boats. Carl Reuterdahl Perpetual Trophy (1st Place) will be awarded if at least one (1) race has been completed. Two ramps are available. Bridles are not needed. Boats will be dry sailed.